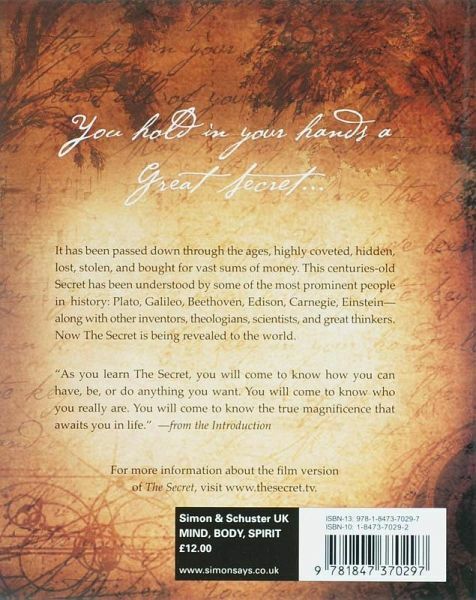 In 2006, a groundbreaking feature-length film revealed the great mystery of the universe- The Secret- and, later that year, Rhonda Byrne followed with a book that became a worldwide bestseller. Fragments of a Great Secret have been found in the oral traditions, in literature, in religions and philosophies throughout the centuries. For the first time, all the pieces of The Secret come together in an incredible revelation that will be life-transforming for all who experience it. 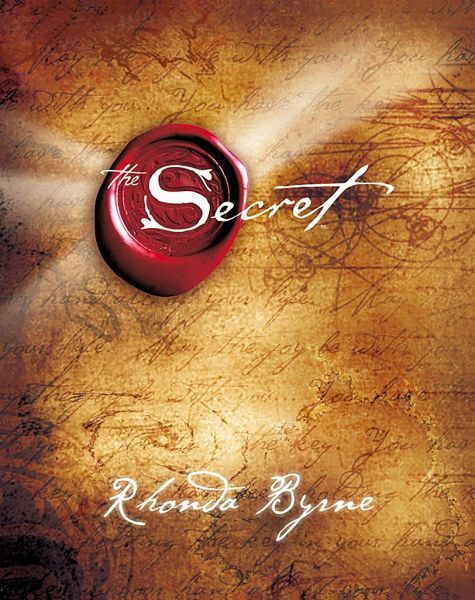 In this book, you'll learn how to use The Secret in every aspect of your life-money, health, relationships, happiness, and in every interaction you have in the world. You'll begin to understand the hidden, untapped power that's within you, and this revelation can bring joy to every aspect of your life. The Secret contains wisdom from modern-day teachers-men and women who have used it to achieve health, wealth, and happiness. By applying the knowledge of The Secret, they bring to light compelling stories of eradicating disease, acquiring massive wealth, overcoming obstacles, and achieving what many would regard as impossible. Rhonda Byrne is the creator behind The Secret , a documentary film that swept the world in 2006, changing millions of lives and igniting a global movement. Later that same year, Rhonda's book of The Secret was released. It has been translated into more than fifty languages and remains one of the longest-running bestsellers of this century. Rhonda has written three more bestselling books: The Power in 2010, The Magic in 2012, and Hero in 2013.